Join me for a day of fashion, beauty and lunch on May 2nd at the Island Hotel at Fashion Island in Newport Beach with Style 2020! I will be attending and covering the event as a guest blogger. I am so excited to hear guest speakers from L’Oreal, Sephora and meet other fashionistas! Hope to see you there! Click on the photo below for a link to register! For Valentine’s Day (actually we celebrated a day early), the hubby surprised me with a mini getaway to downtown Los Angeles (about 45 min from where we live). 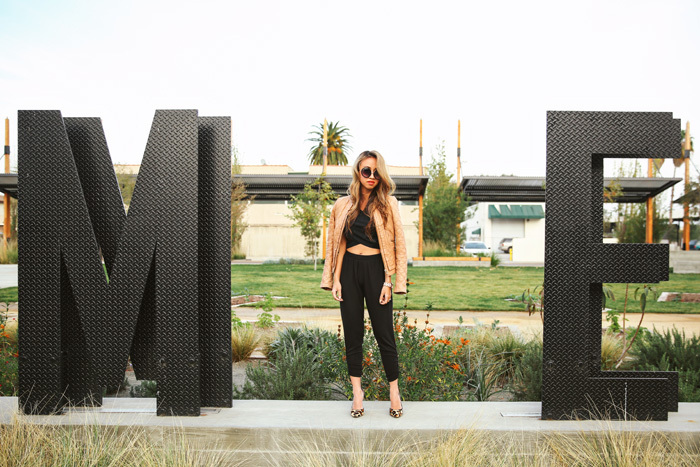 I have been wanting to check out the new Ace Hotel in downtown Los Angeles and the hubby planned a romantic and fun day exploring the city. I love the hip and modern vibe of each Ace Hotel. 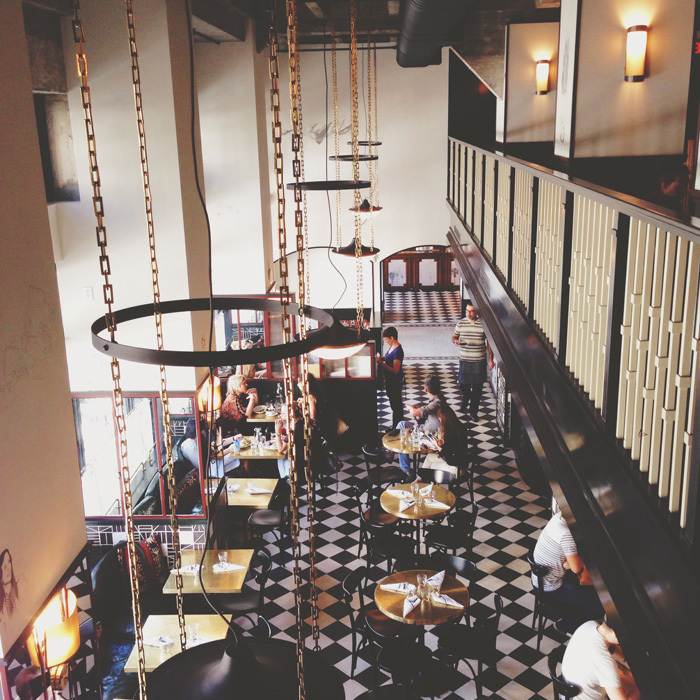 And I especially loved all of the gold hardware and checkered floors of this one. While at the hotel, the hubs shot me in this lovely floral skirt and bow top from Charlotte Russe. I loved the window light in our room so we decided to just do the shoot there. I loved how these images turned out with the side light. After my turn was over, I made sure to get some photographs of the hubby as well =). I’d say I’m a pretty lucky gal! As you may realize by now, I’m pretty obsessed with shopping online at ASOS. Everything is super stylish and affordable and their petite line fits me really well. I actually wish I could fit their regular sizes because there are even more stylish options. When I saw this dress on ASOS recently, I immediately fell in love. This dress is totally my style – romantic, girly, soft and pretty. It’s the perfect dress for a romantic Valentine’s Date or spending the afternoon shopping with your girlfriends. I love the high collar detail with the bow and I think it would look just as pretty with a black high waisted skirt worn over it. I styled the look with a chunkier pair of heels to give it a bit more edge and personality. I have been dying to share this collaboration I did recently with Space 46 Boutique!!! 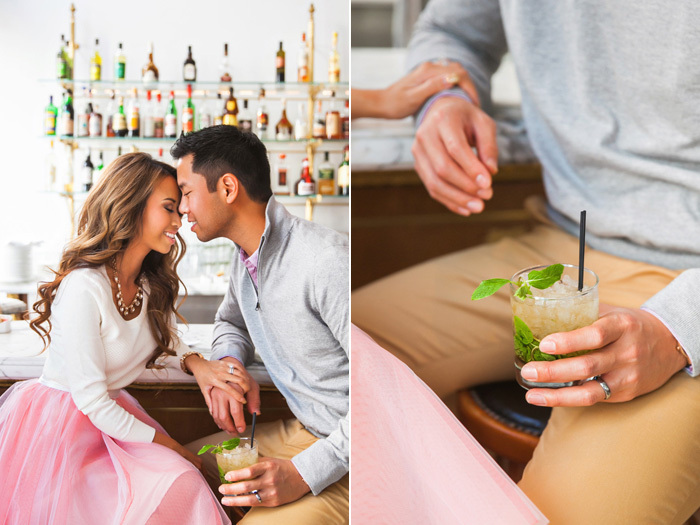 I have been obsessed with their gorgeous tulle skirts (I mean seriously how fun & flirty are they?!) and this pastel pink stunner is perfect just in time for Valentine’s Day. I coerced the hubby to get in front of the camera for this one and we had our talented friend Hanh photograph the session for us. I called it the 2nd Engagement Session we never had lol. He called it a drive in traffic to LA for one drink =P. I dreamt up this perfectly pastel Valentine’s date in my head and I knew that Bottega Louie with its amazing architecture in downtown Los Angeles would be the perfect setting. 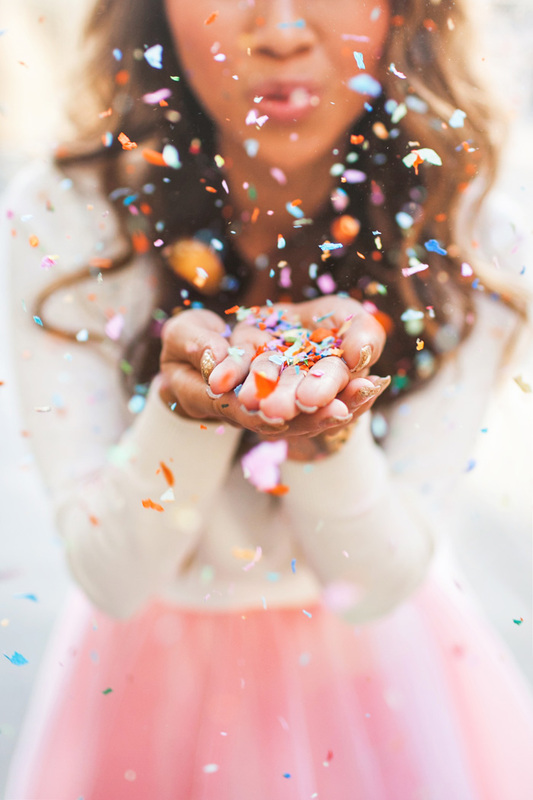 Throw in some confetti (literally), sparkly Louboutins, a very cute boy and it’s the perfect date for any girl =). 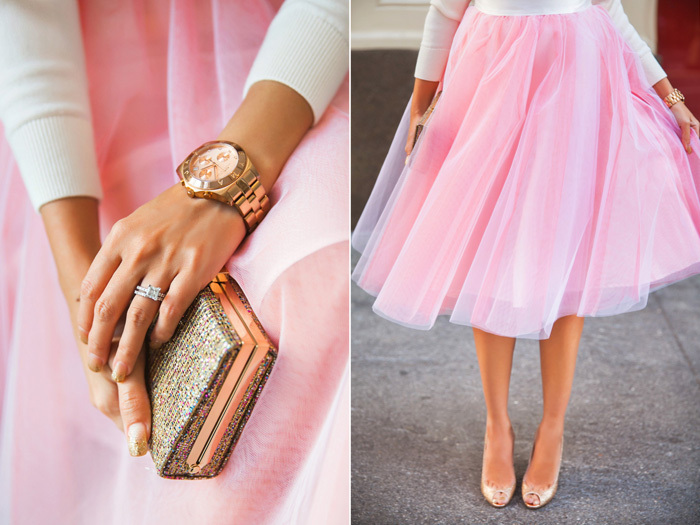 I have to admit I stuck out like a sore thumb in my pastel pink tulle skirt running around downtown LA, but hey, anything for fashion, right? And I felt so special in it that I seriously didn’t want to take it off! Special thanks to Space 46 Boutique for this pink tulle perfection! For me I love to have classic go to pieces like these in my closet – the classic trench coat and a sophisticated tweed dress. These pieces are great to dress up any look for work or a business meeting. And luckily for me I found both in petite sizes from Banana Republic! Some days (and the key word here is some) I wish I was still in the Corporate world so I dress like this more often, but many days I’m thankful I can wear my PJs while editing and comfy clothes and flats when photographing clients =). This outfit makes me feel like quite a lady. I love the midi length that is so popular right now – it makes any skirt look so chic and polished. I especially love this pleated midi skirt from Modcloth because it does fit me well and because it has POCKETS! I’m a sucker for any dress or skirt with pockets =). And I am also a sucker for anything with a bow on it hence the sweater and the shoes here (and the title of this blog post) =). This skirt is really wonderful for any occasion – pair it with a blouse for the office or a cute crop top for going out at night. For more colorful options on the midi skirt, check out my blog post from yesterday! On a personal note, the hubs and I have been busy buying furniture and decorating our new home! It’s our first time being homeowners and we can’t wait to share when things get a bit more finalized! Skirt – Modcloth find it HERE and FREE shipping over $50! One of my favorite trends going on is the full skirt. It’s so girly, sophisticated and versatile. You can pair it with a beautiful blouse, fitted sweater or loose tee for a more casual look. There are so many lovely ways to wear it. Tomorrow I will show one of the ways I chose to wear the full skirt but for now check out all these adorable and affordable options available from ModCloth. 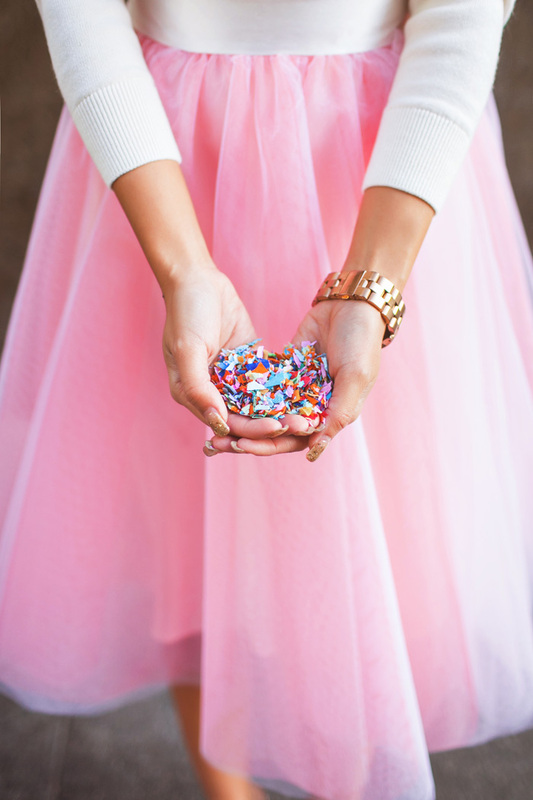 ModCloth has one of the best collections and varieties of the full skirt. I wish I could order them all in all these pretty colors but I think my husband would not like that so much =P. The best part is ModCloth has FREE SHIPPING on orders over $50. Which one is your favorite?! Ok lets be honest here – I chose this outfit of the day because I really wanted to wear my new leopard pumps. I have been searching for weeks for a pair of leopard pumps that won’t break the bank and not look too cheesy and I found the perfect ones from DSW online. I love the d’orsay style of these pumps which make them surprisingly comfortable. This look proves that a great shoe can pump up any outfit =). Happy Monday everyone!!! Ok so the weather has been unusually warm here in SoCal lately (high of mid-80’s) and my closet is so confused right now. I may have a teensy bit more clothes than closet space (I’m not sure why my husband just won’t surrender his side of the closet to me) which means I usually pack up my summer clothes in storage boxes in the winter and swap them in the summer and vice versa. I just bought this super cute romper from Urban Outfitters and decided to embrace this splendid warm weather. This romper makes me feel really girly so I paired it with my favorite handbag – my gorgeous rose pink Louis Vuitton Alma bag. I bought this bag for myself on my second trip to Paris in 2010. I went to the flagship LV store on Champs Elysee and immediately fell in love with my idea of pink perfection. Unfortunately the sales lady told me there was only one of these left in all of France, but luckily for me it was only 10 minutes away. So I ran off to find her and bring her home with me to the States (I think I was smiling the whole plane ride home with her on my lap). My husband still thinks it was the ultimate sales pitch by the LV sales lady but I don’t care – I love her and she’s all mine =).